Other world cuisines use a variety of unusual products that you can use to experiment and create your own variations in the kitchen. One such product is lemon grass. 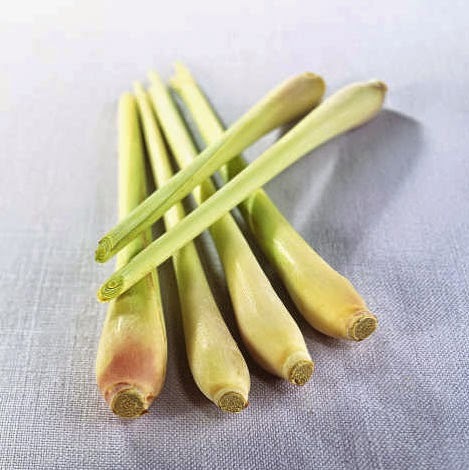 Lemon grass, also known as sereh, is a typical flavour enhancer and is indispensable in cuisines from countries such as Indonesia, Vietnam, India, and Thailand. Lemon grass is usually used whole, often crushed before use or tied in a knot. It is used in stews and soups and, in Thailand, chopped into pieces to be used in curries and salads. It is also incorporated into chilli pastes. The taste and smell of lemon grass is reminiscent of lemon and is slightly sour; most of the flavour comes from the sap in the stalk. Before using the lemon grass, the top, bottom, and outer leaves need to be removed. Although lemon grass is often used raw in salads in other countries, the hard variety available in the Netherlands is not suitable for this purpose. You can, however, finely chop the white part and use that in dressings, for instance. You can also buy a powdered version from Asian food stores. But be careful with how much you use as the flavour can quickly become overpowering! At Gastronomixs you'll also find various components and compositions in which lemon grass is used as an important flavour enhancer. How about banana spring rolls?